To begin with, some numbers: of the 13 Tests Sri Lanka played this year, they lost seven to the four they won. In ODIs 23 defeats (yes, 23) to five wins. In T20Is, ten losses, five victories. Now some facts. 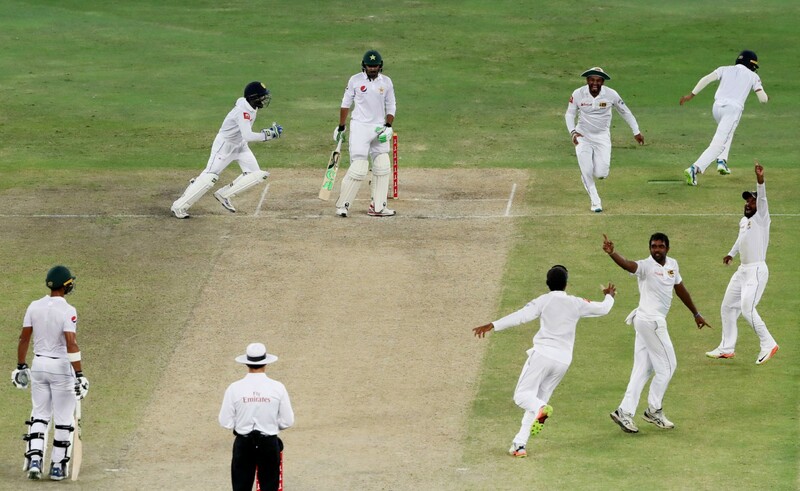 One of those Test defeats was an unprecedented loss to Bangladesh, at home. 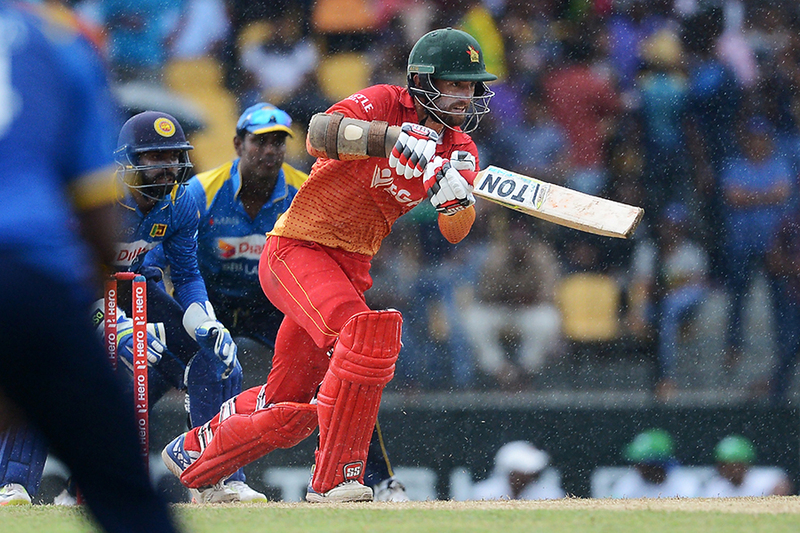 Three of those ODI defeats led to a series loss against 11th-ranked Zimbabwe. Twice in the year, Sri Lanka were whitewashed 0-5 in a bilateral ODI series, and twice they were clean-swept 0-3 in Tests. Of the five T20I wins, four also came against vastly depleted South Africa and Australia outfits (South Africa were trialling a host of inexperienced players, and Australia's Test team was on a different continent at the time). No exaggeration this: Sri Lanka have not had a year this bad since the early 1990s, when players were semi-professional. And here's the list of people who left their high-profile positions, at some point in 2017. Still in their jobs: SLC president Thilanga Sumathipala and his cohort of loyalists. While we are on Sumathipala and Co… Sri Lanka Cricket has long been a bloated and dysfunctional organisation, but rarely has the board broadcast its ineptitude with quite so much pride. Below, for example, is a selection of statements by either the board, an official, or a coach. Relevant facts are in brackets. "We felt that Thisara Perera carried out his duties as captain very effectively in the T20 series against Pakistan." (Sri Lanka had been clean-swept 0-3 in that series). "The team's historic series win in UAE against Pakistan, and drawing two of [their] three Tests in India, proves beyond any shadow of doubt to every single person, supporter or naysayer, that Sri Lanka is well on its way to establishing itself as the best Test playing Nation in the world." (Sri Lanka had lost three Tests by an innings, and another by 304 runs, over the previous seven months). "I don't think the team get enough credit for their good fielding performances." (Sri Lanka dropped no fewer than 85 catches in the year, across formats). At times, when they are in the middle of a ridiculous statement during a press conference, you almost begin to feel sorry for board officials; for as their public profiles tank, and they become ever more reviled by the public, are they not victims of their own incompetence? Often you just want to put a caring arm around them, lead them gently off the dais, and whisper comforting words. "It's okay, friend. You don't have to explain your bumbling to us any longer. Here, what if they broadcast a clip of you and your smiling friends during the next Sri Lanka match? Wouldn't that make you feel better? Okay, I will give the television director a call." If you, a well-wisher of the Sri Lanka team, have read this far down this catalogue of woe without throwing yourself into a vat of acid, well done. But do yourself a favour: under no circumstances should you check the batting and bowling averages of Sri Lanka's new limited-overs captain. Thisara Perera is the leader Sri Lanka is stuck with, 18 months out from the next World Cup. What greater proof could there be that a monumental dearth of talent and leadership has taken grip? There was an outstanding chase against India at The Oval, and the seamers rocked in the ODI in Dharamsala, but Sri Lanka's best performance came in Tests, where they defeated Pakistan 2-0 in the UAE. No team had defeated Pakistan in their adopted home since 2009, even if in this case they were playing without Misbah-ul-Haq and Younis Khan for the first time. Dimuth Karunaratne - the best of Sri Lanka's Test batsmen this year - was instrumental to the victory, hitting 306 runs at an average of 76.5 in the series. The contenders are many, but Sri Lanka's ODI series loss to a Zimbabwe side that had been modest in the preceding months hit Sri Lanka fans the hardest. The fear with which Sri Lanka played in that series was most dispiriting - an extremely fickle selection policy having taken its toll on the players. So devastating was the loss, Angelo Mathews resigned from the captaincy mid-tour. 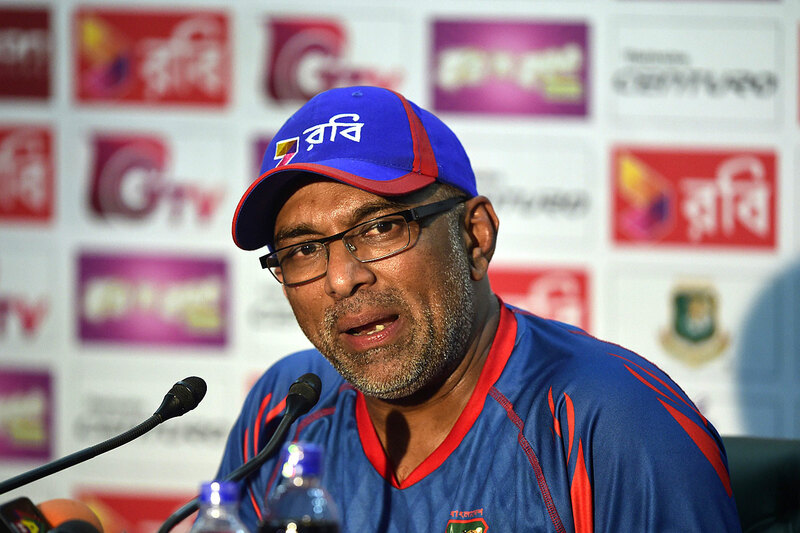 Sri Lanka Cricket's biggest achievement this year may have been luring Chandika Hathurusingha back, following a months-long search for a new head coach. Clearly one of the sharpest cricket minds in the world, he is the messiah, it is hoped - the man who will absolve Sri Lankan cricket's many sins. Will he be able to bat away the board interferences that have plagued previous coaches, however? For now, SLC appears to have given Hathurusingha a free hand - largely because they need him so badly. But he will need to begin delivering wins quickly, if he is keep the board at bay. A full tour to Bangladesh is up first, and then two multi-team tournaments - the Nidahas Trophy at home, and the Asia Cup. A full tour to the Caribbean looms in the middle of the year, before South Africa and England visit. A tour to New Zealand is scheduled for December. Importantly, SLC has also promised to play a provincial tournament in 2018. The board's failure to schedule a competitive first-class tournament over the past two years verges on the unforgivable. However, the national team's horror year has at least prompted one progressive move. How do your teams of 2017 compare with ours?